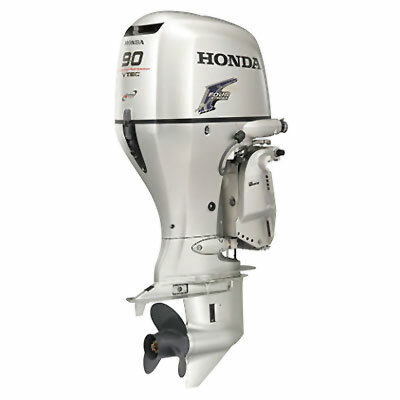 Honda's 90HP EFI engines bring our latest technology to the mid-size range. Weighing in at only 359 lbs., it's the lightest in its class, and perfect for pontoons, aluminum fishing boats and bay boats. This engine offers exclusive features like VTEC racing technology that assures max torque at every speed, Honda's Blast™ system that vastly improves "hole shot", and lean burn technology that saves an incredible 20% on fuel at cruising speed. The 90HP EFI is based on the same engine that powers Honda's popular Fit automobiles. So you know you can expect long term durability and clean, quiet operation.